1 Tuner + 1 or more non-Tuner monsters. When this card is Synchro Summoned, you can destroy all cards on the field. Once per turn, you can remove from play 1 Plant-Type monster from your Graveyard to .. This card cannot be Normal Summoned or Set. This card cannot be Special Summoned except by sending 3 other monsters from your hand to the Graveyard. This card's ATK is equal to the combined levels of ..
"Nitro Synchron" + 1 or more non-Tuner monsters. Once during each of your turns, if you activated a Spell Card, this card gains 1000 ATK during its next attack, for damage calculation only. Once per t..
1 Tuner + 1 or more non-Tuner monsters. If this card attacks a Defense Position monster your opponent controls, destroy all Defense Positon monsters your opponent controls after damage calculation. Du..
1 Tuner + 1 or more non-Tuner monsters. You can Tribute this card to negate the activation of a Spell Card, Trap Card, or Effect Monster's effect that destroys a card(s) on the field, and destroy that..
"Turbo Syncron" + 1 or more non-Tuner monsters. 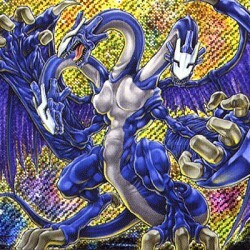 When this card attacks a Level 6 of higher Synchro Monster, halve the monster's ATK until the end of the Damage Step. This card cannot be targeted by th..